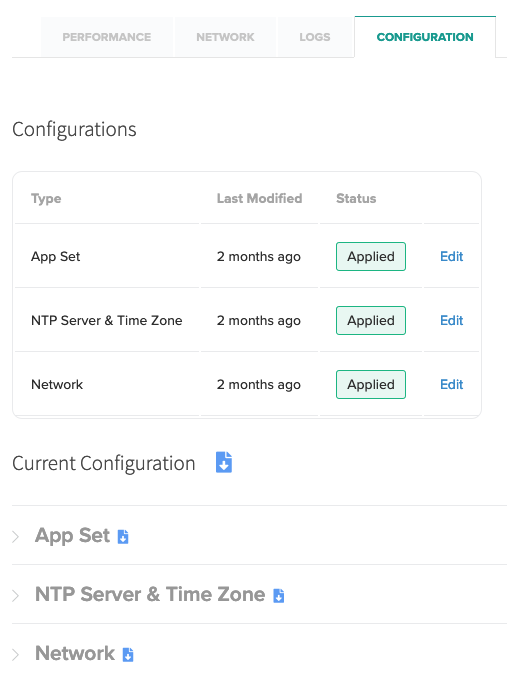 Learn how to connect your application from previous tutorials to AWS. Install the AWS CLI on your Development Host. Please refer to Amazon’s setup guide. Install the Yarn dependency manager for Node.js. Please refer to Yarn’s setup guide. Navigate your web browser to http://localhost:3000/. This deploys a CloudFormation Stack which sets up an S3 bucket and EC2 instance running the MQTT broker. CloudFormation will take 5-10 minutes to create the stack. After the CloudFormation Stack is deployed, select the Outputs tab, and copy the values of WebsiteURL and InstanceIPAddress. Navigate your web browser to the WebsiteURL copied from the CloudFormation Outputs tab. Edit the configuration file (config.json) of the hello-world snap. Set the value of the host property to your MQTT Broker IP address which is InstanceIPAddress. InstanceIPAddress was copied from the CloudFormation Outputs tab in Deploy Infrastructure to AWS step 2. Figure 3.9 Snap config.json showing updated MQTT host. Build the new snap, publish to the store, and distribute to your target group. See instructions on this process in the previous tutorial. Wait for the Thingy to connect to the gateway. When it does, it will start blinking green. Navigate your web browser to the deployed S3 static website. Edit the topic name if needed, and click Subscribe.